Knowing how to buy Bitcoin is a first step into the digital currency world. Then, the important question arises – how to choose the right cryptocurrency exchange? 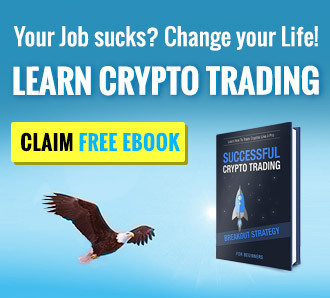 Many questions need to be answered before a newbie trader can be sure that he made a good choice. Depending on the needs, country, trading volume, security and many other factors the user can choose an exchange that’ll suit his requirements. Basic information such as the location of the exchange, the name of the founder and the market they focus on can be the first step for choosing the Bitcoin exchange. Bitcoin is still a relatively unregulated currency in many countries, but things are changing. In a couple of years, the situation might look much better than today. As the utilization of Bitcoin rises, the governments are seeking to get a degree of control over the digital currency transactions. Money laundering, illegal drug smuggling, and terrorism are just some of the reasons why authorities are looking to get some control and monitor the Bitcoin network. Because of all of these things, it’s important to know the geographic location of a BTC exchange before making the decision. The location of the exchange dictates the laws it will have to comply with. The majority of the countries doesn’t have any laws related to digital currency, but if and when they start to do it, it could significantly affect user’s ability to use and trade Bitcoin. For example, China is a bad choice for Western traders because there are additional fees, it’s hard to get verified, and English support often isn’t good enough. Knowing more about the founders of the exchange can also be a great lead about the exchange reputation. If the founders are anonymous and haven’t provided a proof of reserve like in the case of BTC-e, that’s a good sign to be careful. On the other hand, if the founders are acting like Mr. D’Agosta, CEO of Poloniex, users can be confident that they are in the right hands. Before choosing an exchange, of course, it’s important to check does it support the trading pairs that suit the user needs. This is especially the case with some altcoins which are offered on only one or two trading platforms. After finding the platform with desired trading pairs, the next thing is to check the exchange’s liquidity for that pair. If the liquidity is good – meaning that there’s a high trading volume – then the trades will be easier and faster to complete. This also means that the traders are able to sell the currency without the price being significantly affected. The easiest way to check the trading volume of the exchange is by checking it on the websites like Bitcoincharts.com. The trading of Bitcoins (and all other coins) costs money – that’s a reason for exchanges to stay in business. Usually, exchanges charge a small percentage of the amount traded. As far as we were able to see, the percentage charged is always lower than 1 percent, typically being around 0.2 percent. Usually, there’s a sliding scale which decreases the fee percentage as the monthly trading volume of the user rises. This is the way exchanges make a lot of money, so it’s not likely this fee model is going to change. Depending on the needs, users may want to have access to certain order types or margin trading. Advanced users are often looking for futures and derivates trading, so keep that in mind as well. A simple interface which is easy to use and a quick loading is something everyone loves. But support for mobile devices is even more important. Users who are planning to make the trades on the move should double check does the exchange has a responsive website or Android and iOS apps. This can be one crucial factor, especially for the new traders. Many things could go wrong, and having a reliable support team can save a lot of nerves and money. When selecting an exchange, it’s good to know what are the most common complaints about it. By checking Bitcoin forums, users can find many complaints on different trading platforms. If the preferred exchange has a lot of complaints about locking people out of their accounts, maybe it’s a good idea to take a look at other options. Unfortunately, many Bitcoin exchanges are at the constant risk of hacker’s attacks. The digital currencies are volatile, and an attack can cause the price drop, which can bring profits to some malicious users. If all of these conditions are met, the exchange is probably safe for keeping the funds in the wallet. Still, we advise that only the amounts used for trading should be kept on the exchange – the rest should be sent to the user’s private wallet. And that’s it. These are the most important parameters for selecting the right Bitcoin exchange. 18 User-Reviews for How to Choose The Best Bitcoin Exchange? I have started to look at margin trading and have as yet only discovered that coinfloor is the only exchange that does physical settlement of bitcoin for futures trading. Other exchanges who’s bread and butter relies on the p-2-p trading of digital assets funnily enough have not extended this to futures/ margin trading. OKEX, Bitfinex sidestepped the question. For anyone who does not know; the cash settlement of bitcoin futures trading is ripe for manipulation. Physical settlement means the bitcoin is taken off the market thereby reducing supply. ICE markets/ bakkt and CME are looking into physical settlement. It would be interesting if you could research all the exchanges out there to understand their offerings and requirements. This is Afsoona Pourkhalil. I work for Axentra comunication, which is an ICO PRODUCER and we are highly interested in entering into a collaboration with you by inserting our ICO tokens on your exchange. We mainly use the ERC20 platform. Moreover, we are also interested in any banner advertising if needed. Looking forward to hearing from you by your offered modes and costs. Hi David, write it here. I’m Business Manager Yolanda from IDCM(http://idcm.io). I wonder how to let IDCM and our wallet (IDCW https://www.idcw.io/) appear on your ranking list? What is the fee and the requirement that you have? I’d like to get in touch to discuss how we can use your website to advertise some of our companies. You are free to write here how we can help you, as we can see your email, we will contact you. I am from crypto advertising network and I would like to discuss a potential partnership with you. Do you think we can find some basis to launch cooperation where we receive traffic from you for fix CPM rate? Is there anyway I can provide you with my contact details without posting them on here? Let us know what you need and how we can contact you. Admin, is there any other way to contact you without using this site? Is there any way to contact the owner of this site? – Do you accept banner advertising?